OPEN SOURCE is proud to offer FREE sound workshops for 8-11 year olds during the October half-term thanks to support from PRS for Music Foundation, Arts Council England and The Vortex Foundation. 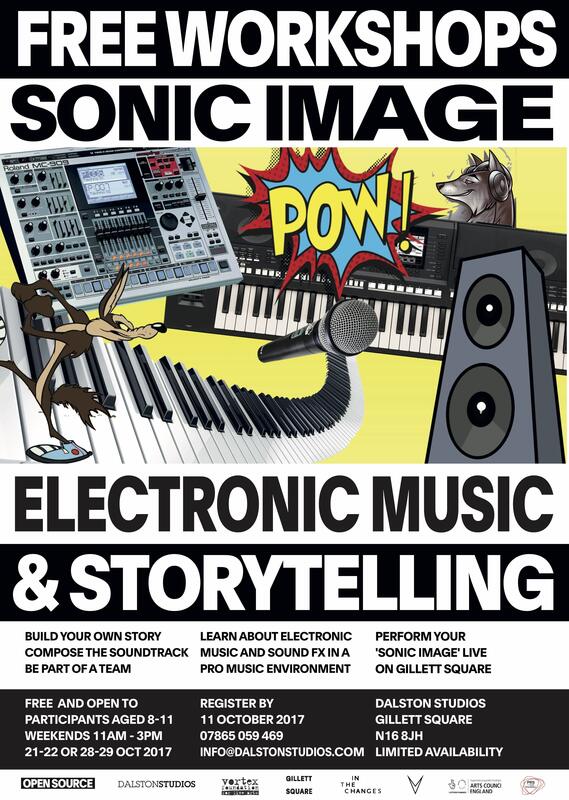 Participants will create a story, compose a soundtrack and explore electronic music and sound FX. The compositions will be performed live at the end of the workshops on Gillett Square. Registration is on a first come first served basis (limited availability). The workshops are a unique opportunity for children to craft their own sounds and build a collaborative music piece. Please get in touch to register your interest or if you need any further information. Sonic Image is supported by PRS Foundation, Arts Council England and the Vortex Foundation “In The Changes” Programme.